If anyone knows what it takes to marshal the power needed to become a champion, Bruce Jenner does. His dramatic decathlon victory earned him a gold medal, a new world record, and America's heart. 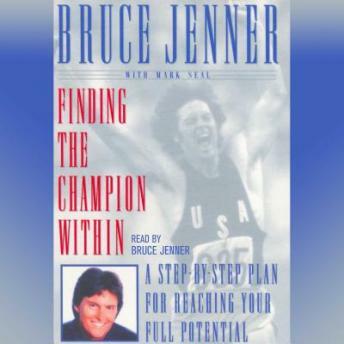 In Finding The Champion Within, Jenner offers the formula that he developed and lived by to anyone who seeks to harness their maximum potential and to become a champion themselves. Bruce Jenner has spent his life developing these championship principles. As a young child afflicted with dyslexia, Jenner had to overcome obstacles of insecurity, self-doubt, fear, and anger that had consistently held him back. Through sheer determination, he was eventually able to fulfill his potential and become a champion: first in sports, then in business. Along the way, Bruce dared to dream -- he identified his goals, developed his mind, body, and spirit to make them strong, learned to accept setbacks, and never looked back. In Finding The Champion Within, Jenner provides, in an easy and accessible way, the tools for success which can be used by everyone. This is a program that he delivers in motivational speeches all over the country and which has made him a highly sought-after corporate speaker. Blending inspiration anecdotes, personal stories, and a ten-step program, Jenner teaches you the fundamentals that will enable you to take control of your life and to realize your dreams.